An interesting case study: I did not want to go grocery shopping this weekend, but I was out of bread. I'm kind of a sandwich person during the week, so this meant either: go actual grocery shopping (ugh) or make my own bread. A regular person might go grocery shopping. 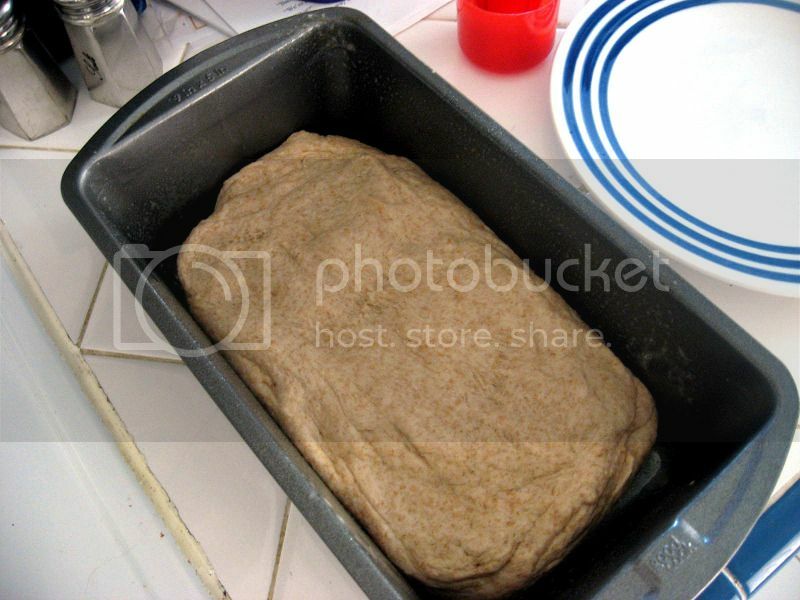 I made my own bread. With yeast and everything. Yeah. That's how it is. It tastes pretty good, but it's not exactly regular piece of bread-sized. 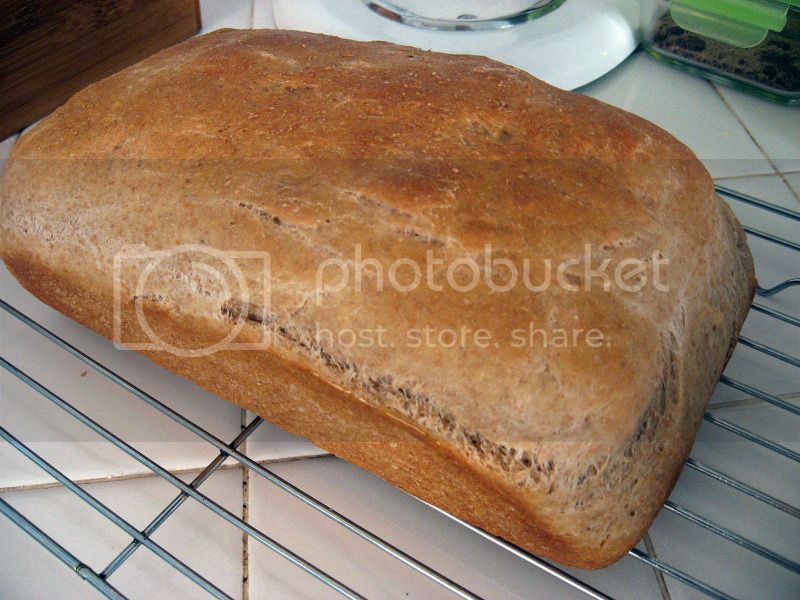 I suspect this was due to a combo of not having the instant active yeast and the fact that the bread pan is probably one size too large, because the site where I found the recipe it looked pretty normal. OH WELL. It still tastes delicious, and that's all that matters. 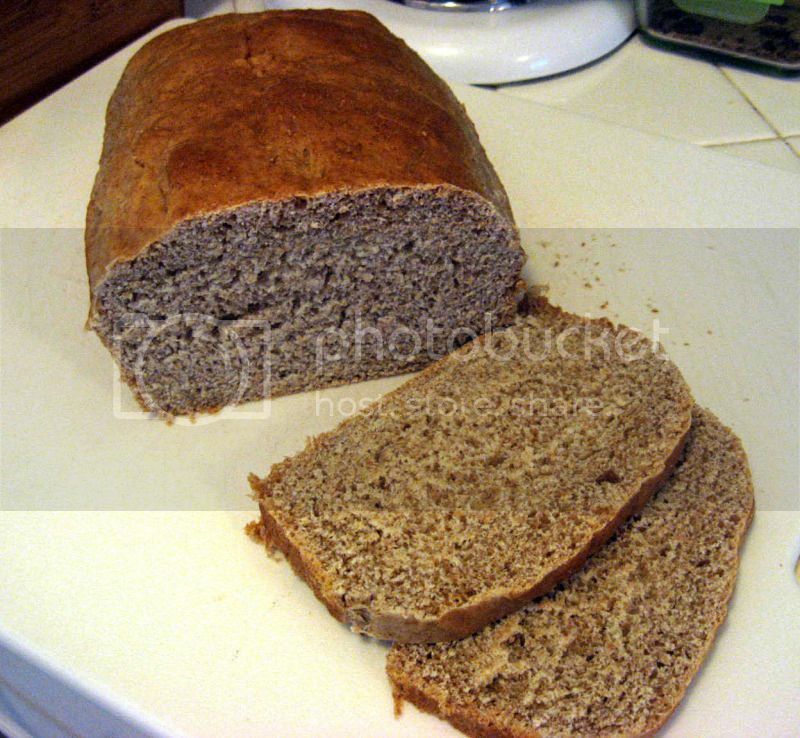 It's also not completely whole wheat, which may contribute to the tasting-good-to-me bit. 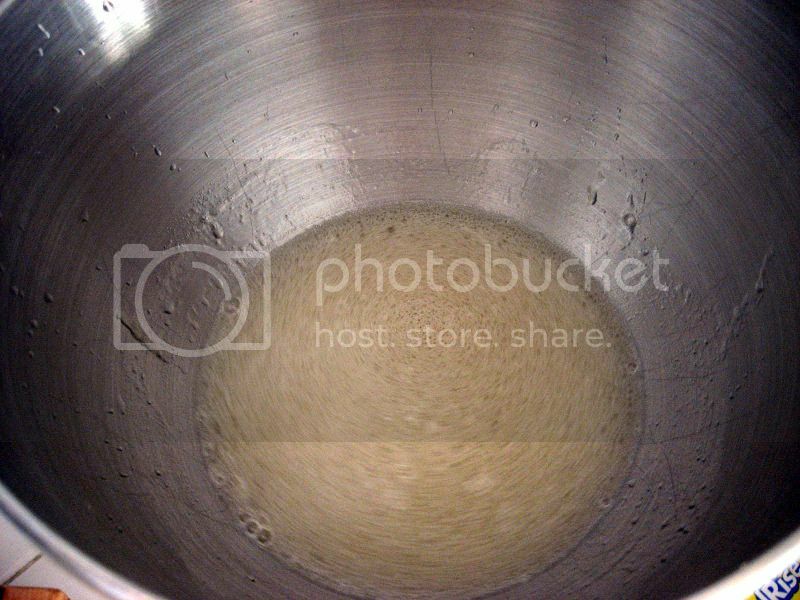 Combine first six ingredients in large mixing bowl. Add in the flours and yeast and knead until smooth and elastic, about 10-15 minutes, or use the dough hook attachment on your mixer. Put in a greased bowl and make sure both sides are covered in the grease. Cover with a clean towel and let rise for 40 minutes. It's good to make sure it's in a semi-warm place for this. 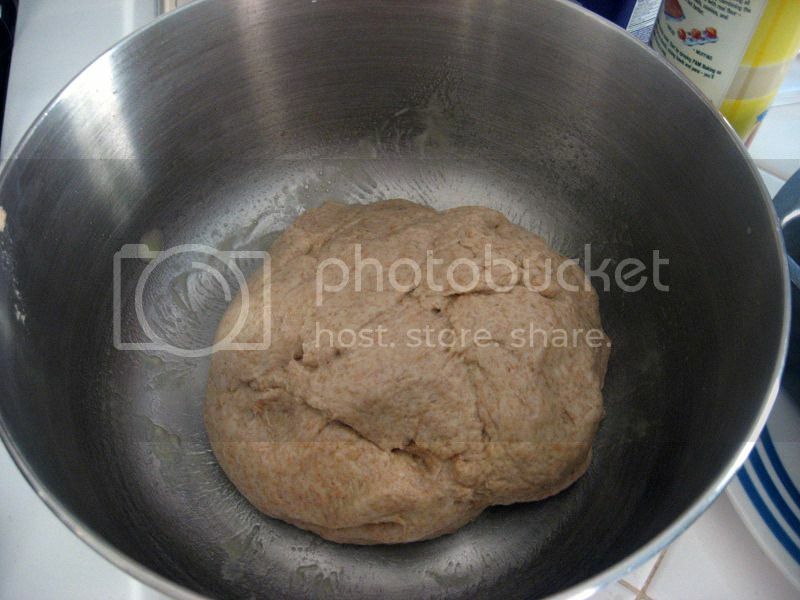 Punch down the dough and knead until smooth, then form into a loaf. Place in your greased loaf pan (I would recommend a 7x3 inch pan) and cover with the towel again. Let rise for 30 minutes. Bake at 350F for 30-35 minutes. If the top starts browning too soon, cover the top with a piece of foil. Let rest in the pan for a few minutes, then remove to a wire rack and cover with cloth to cool completely. Store in an airtight bag or container, or feel free to freeze for future use. Water, milk, oil, honey, brown sugar, salt. Whoa! I love these dough aliens for some reason. 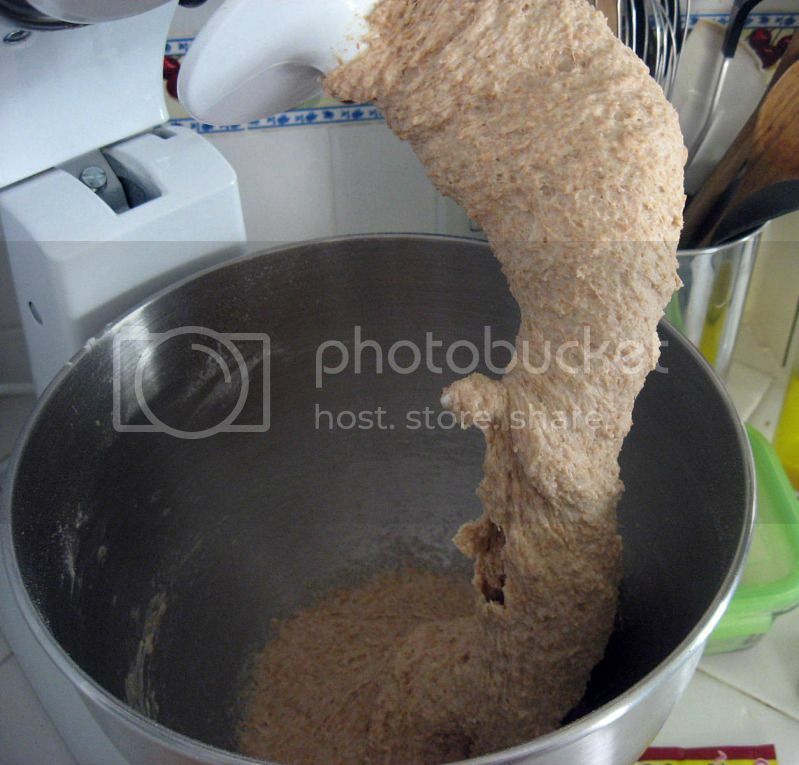 After the flours and yeast have been added and mixed with the dough hook. Put that in a greased bowl, making sure to grease both sides. Let rise for 40 minutes. It will be bigger, like this! Oooh la la. 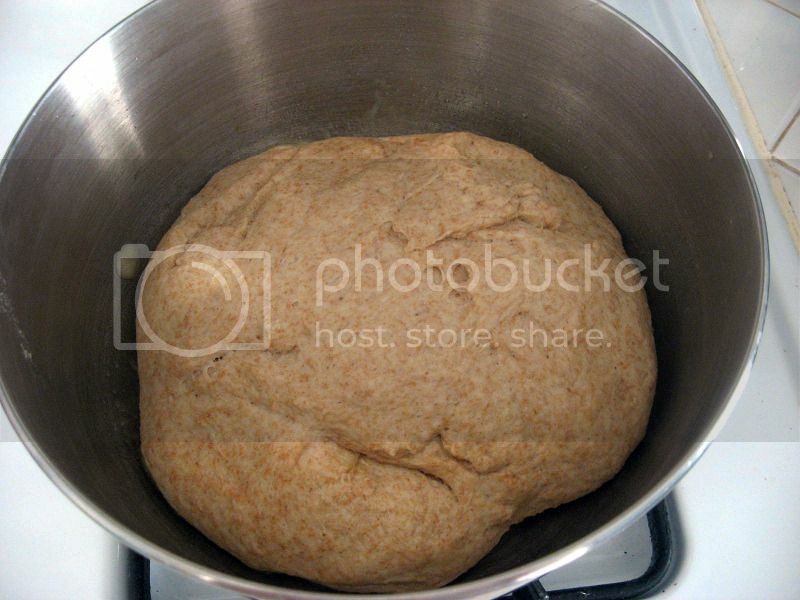 Stick that in your prepared loaf pan and let it rise some more. Bake it for 30-35 minutes until it's this lovely shade. 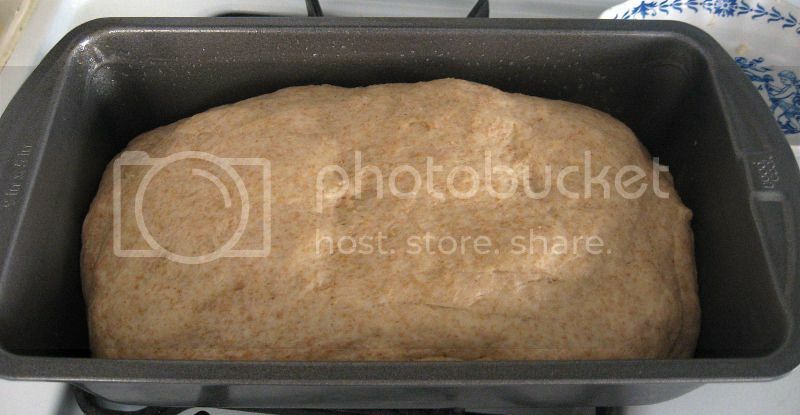 If you have a smaller loaf pan, the loaf will be taller, keep in mind. After it's cooled in the pan for a few, stick it on a wire rack and let cool completely, covered by a clean towel.